This marketing lark must be easy, right? I mean, what with all those social media options, the ability to Tweet and blog etc - how difficult can it possibly be to run a campaign? So far, I think I'm on track for the world's worst marketing campaign. I've managed to turn a £90 investment into just a £2 donation. And that's not a £2 profit - it's an £88 loss thus far. And this is not a boast. So come on - lend a guy a hand and donate £2 to Acorns Children's Hospice in memory of my lovely son, Harry. 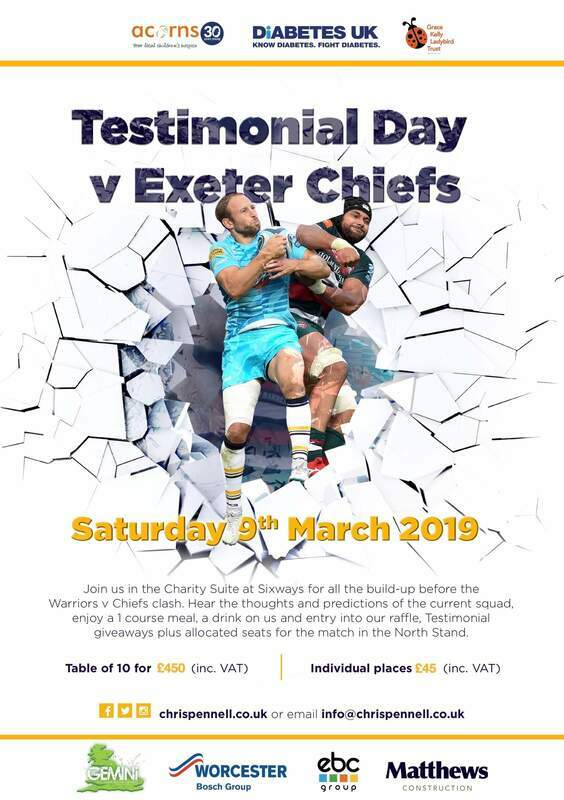 In return, you could (with a current high degree of possibility) win two seats at a table for Chris Pennell's testimonial day on Saturday 9th March, followed by seats to watch Worcester play Exeter. For just £2!! Full details of what you could win here.